Interface Wiegand 26 for EM ID card or compatible card. Audio/visual indication: green, red and buzzer signal output. 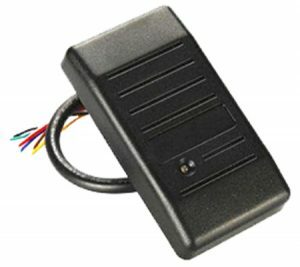 Supports card, FM radio modulation 125 kHz HID proximity card such as II and fob.